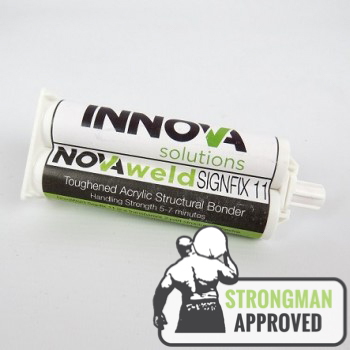 NovaWeld two part structural adhesives give incredibly high ultimate bond strength. 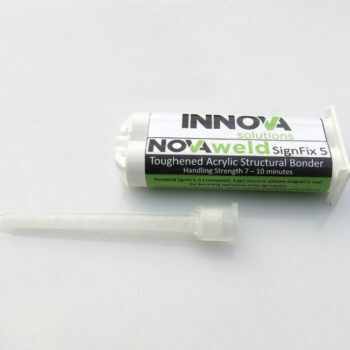 Across a wide range of substrates including steel, aluminium, polycarbonate, composite materials and engineering plastics – and in the harshest environments – NovaWeld performs. 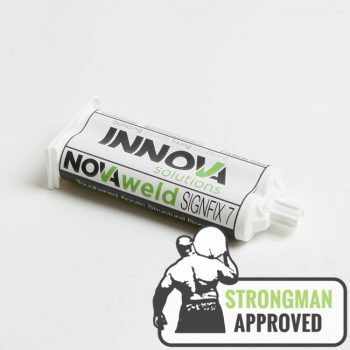 For signage: Whatever signmaking material you’re working with, from acrylic or stainless steels to stone and ceramics, there’s a NovaWeld to match. 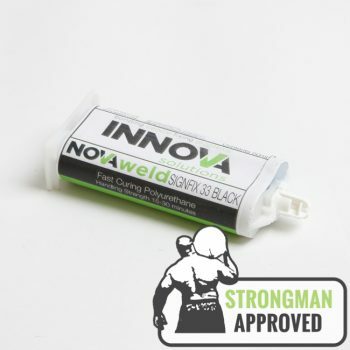 For automotive: NovaWeld is formulated to withstand the forces to which vehicle roofs, spoilers, vents and housings are subjected every day. 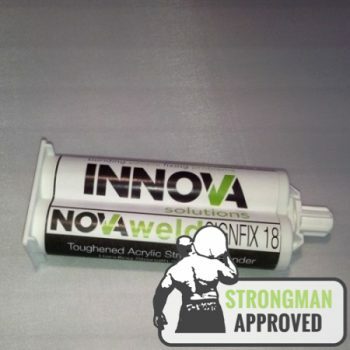 Other: From wind turbines to sports goods, manufacturers who need their products to perform to the highest tolerances choose NovaWeld. Choose from a range of cure times and viscosities. High temperature glues can withstand powder coat paint cycles, and clear glues will contribute to a finished product that looks as good as it performs. 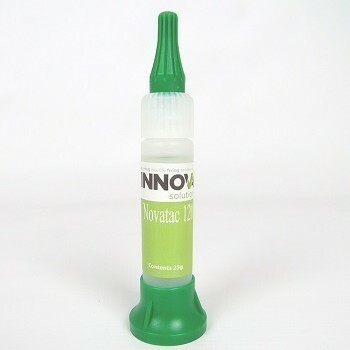 To find the right structural glue for your application please contact us.